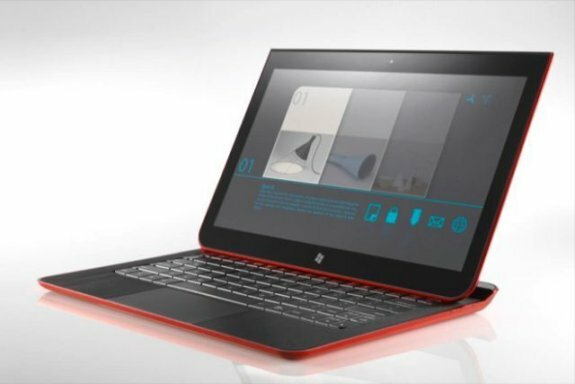 Neowin delivers news that Windows 8 ultrabook-notebook hybrids like the Intel "Letexo" concept are anticipated to cost around $1,000. The design was first shown by Intel at CES 2012 and the company showed it off again last week as part of its Inter Developer Forum event in Beijing. Wired reports that the 12.5 inch touch screen of the Cove Point design rest on top of the device for tablet use. The screen can also slide up and out to expose a full notebook keyboard. < Intel says that the current design specs of the Cove Point product would make its final cost about $1,000. That's in the middle of the price range for current mainstream notebooks, and a lot cheaper than Lenovo's IdeaPad Yoga, but still more expensive than the typical tablet device.